There were two important reports on the U.S. economy released this morning. 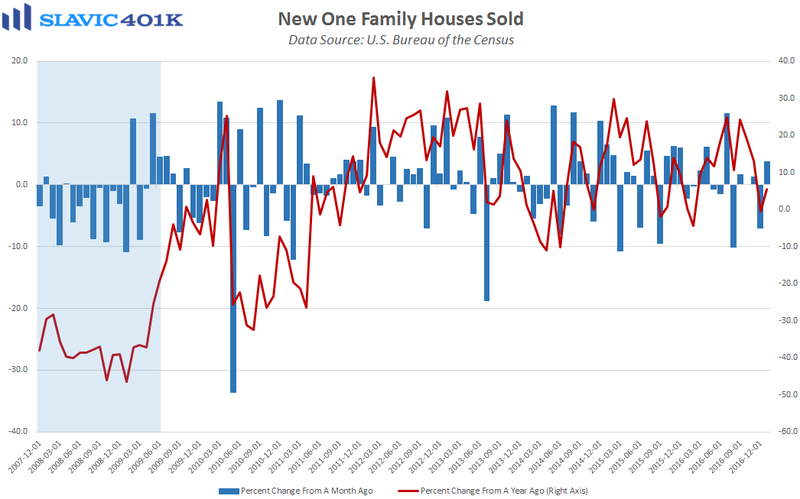 First, data from the U.S. Census Bureau showed that sales of new single-family homes in America rose by 3.7 percent in January to a seasonally adjusted annual rate of 555K units. 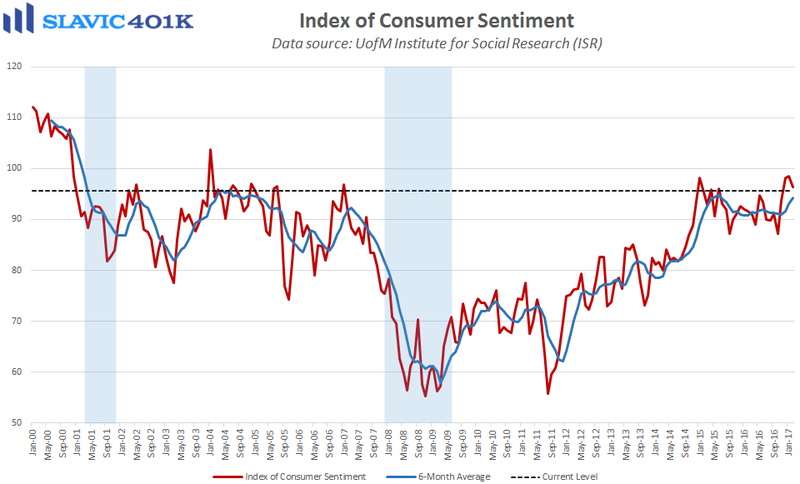 That was worse than economists had expected but still the largest monthly gain since July. 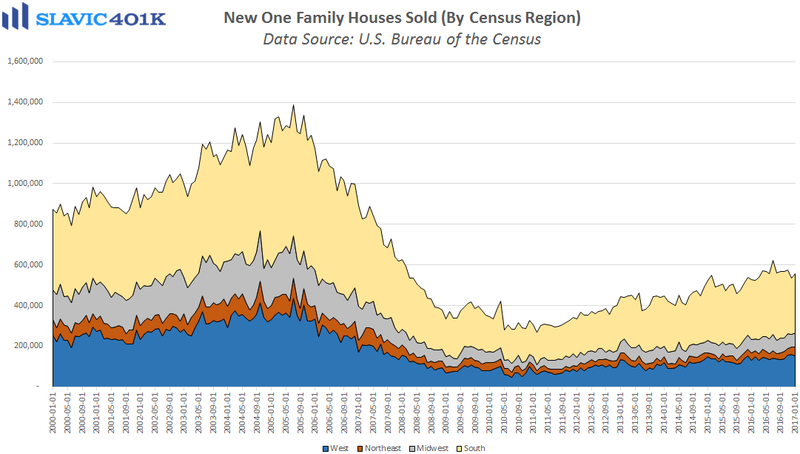 Regionally, home sales last month rose in the Northeast (+15.8 percent), the Midwest (+14.8 percent), and the South (+4.3 percent) but fell in the West (-4.4 percent). 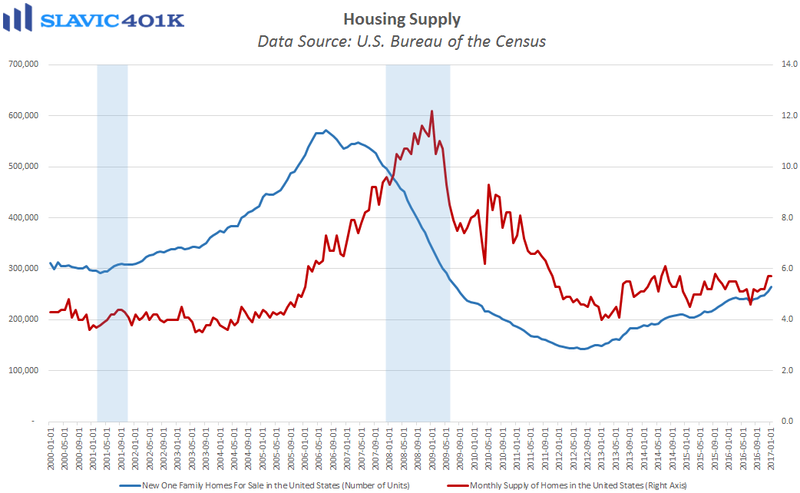 The inventory of new single-family homes lifted for the sixth month in a row in January, and months’ supply held at 5.7 based on the current sales pace, therefore matching the highest reading since September 2015. 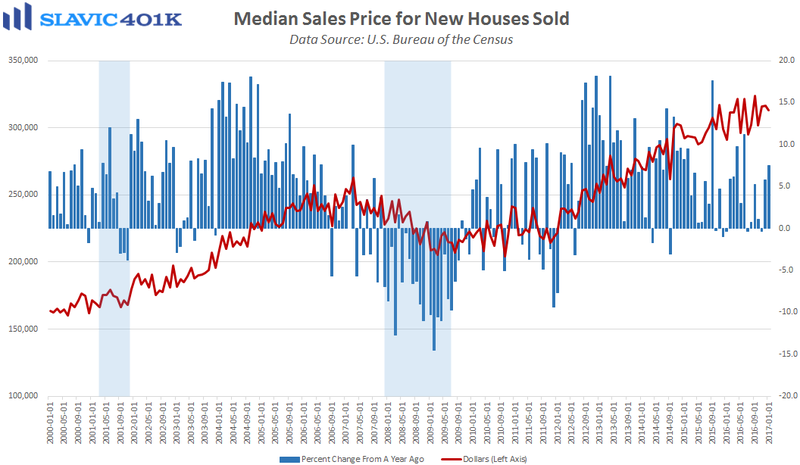 The median selling price of new houses sold slid to $312,900 in January but that is still a 7.5 percent increase over the past twelve months, well above current measures of wage growth and general consumer inflation. 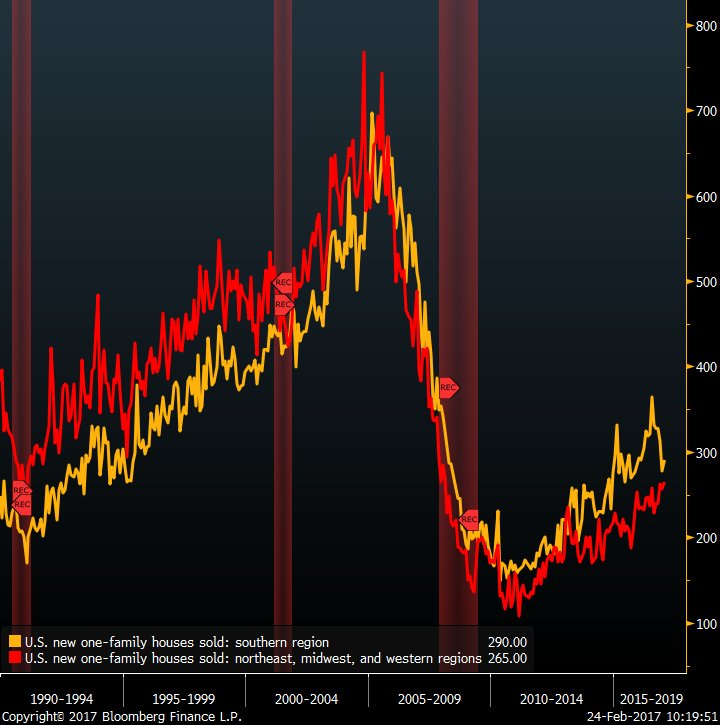 Although new home sales are extremely volatile and account for a relatively small portion of the residential housing market, this metric is still worth keeping close track of because historically new home sales tend to head sharply lower ahead of a recession.